Tonight you can follow an epic journey, which shows the incessant give-and-take between people and cultures, East and West. 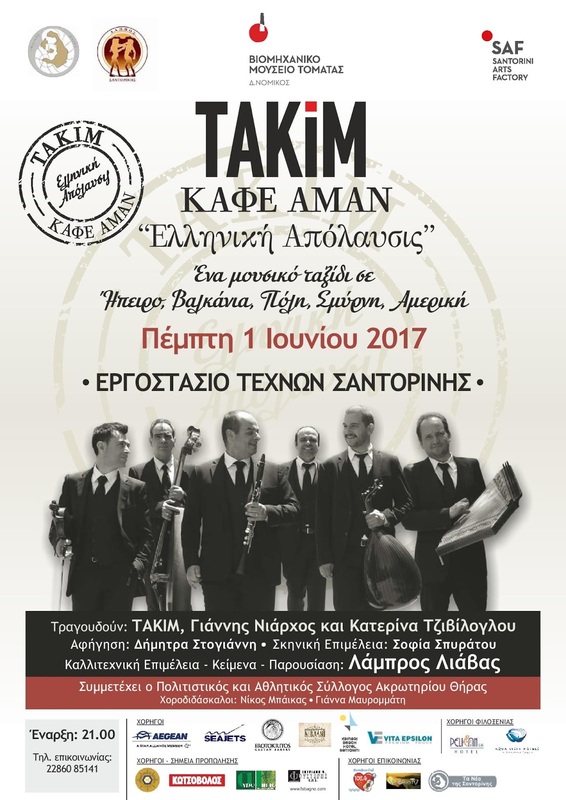 TAKIM - six of the most important virtuosi in Greek folk music – invite audiences to join them on an enchanting journey through the musical history of the indomitable Greek spirit. Stops along the way include Epirus, the Balkans, Istanbul, Smyrna and the USA.